House hunting is very exciting, but you must be alert while hunting for your house or else it’ll let you sweep yourself up into making a wrong move. If you're a first-time homebuyer and don’t know the details of a house hunting, then you should be ready for it by checking the below-given facts. You’ll go for a 15-year or 30-year mortgage if you like to buy a house through financing. 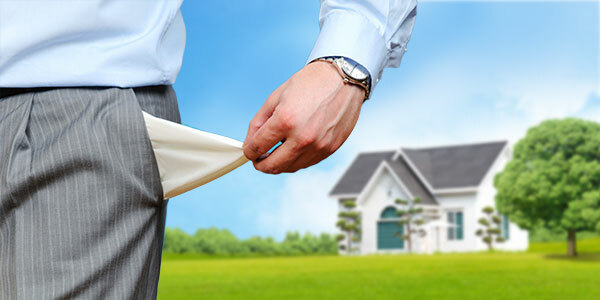 You must also need to know whether you can afford the downpayment as well as the monthly payments. For that reason, you’ll need a steady income to support your funding. But if you’re working for a company where your job isn’t safe, at least for 30 to 40 years, you can’t dare to challenge yourself to go for a mortgage. If you're self-employed or living totally on a commission based job, I would suggest you must stay low for a while. Try to build your income and savings before you leap for the housing hunt. It is obvious, you’ll buy a house to live there for a long time. If you don’t have any plans for that, or you have a transferable job, there’s no point of engaging a big amount towards the home. Go for a rental apartment instead. Think that it's not easy to sell a house as much it is to go for a rented apartment. Commissions, closing costs, and other fees will take up to 6% raise over the market value of that home. So, if you want to sell your house, you’ll need to keep your price higher than the market rate for at least 6%, and that is quite tough. Apart from the rent, you’ll have to bear the money on loan origination fees, taxes, house maintenance, interest charges, home inspection, appraisals, and many more expenses. If you'll be in the house for only 3 to 5 years, renting may be the best option for you. Just be practical, if you have tons of debt, you won’t qualify for a mortgage either. The lender will check your DTI ratio and throw your loan application to the trash can. But you must know, being under a huge debt pile means your financial future is at a risk. Before looking for a big investment in buying a home, you must work on to reduce your total debts, to improve your credit, and save a lot of money to help you out when needed. As I said earlier, you’ll need a lot of money to pay off closing costs, home inspection costs, house renovation costs, repairing costs and moving costs, apart from just the monthly installment. Do you have enough money for those, or the mortgage is going to clean your pockets fully? As a homeowner, you must pay the electrician, the plumber, the carpenter, roofer, HVAC company, and other costs. Make sure you have a good amount in your pocket for these bills. You must save a 20% down payment if you don’t wanna face the PMI. If you don't have enough, wait until you've enough money to consider applying for a house. You can also ask your friends or relatives to gift you that money. It’s only in your mind. Don’t get pressurized by others or just by yourself. You're not betting your money on a sinking ship, you’re investing in a large life purchase. If you feel you’re not ready enough, go for renting straightly. It is right that owning a home means a lot for you whether you’re 21 or 41. But you must also know that you should do what it takes to secure your financial future. Don't think that you just need a house just because everyone else is getting it.